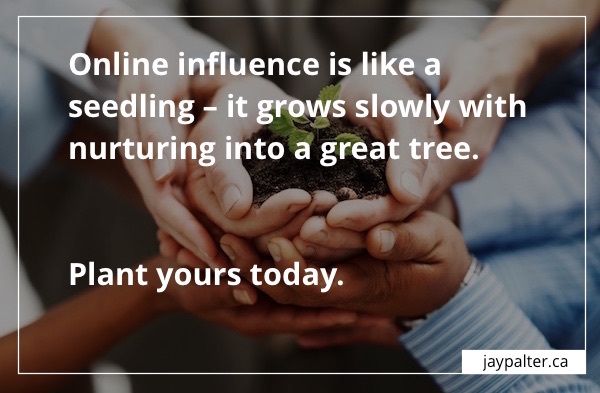 You could say the exact same thing about building your online networks of influence. The best time to start building a social network that increases your visibility and enhances your reputation as an expert in your field was last year – or better yet, five years ago. But the next best time is NOW. Sure, you could also go and buy a bunch of online advertising and force yourself into people’s consciousness. You could pay to rent people’s attention for a short period of time. But if you want more – if you want to own some of your audience’s attention and grow your online influence and build relationships with people who can have a real, positive impact on your business – you have to earn it. Whether you own a business or lead one, at some point next year, and the year after that, you’ll look back and realize that NOW was the best time to start. “I don’t have the time,” you say. Excuse me, but in my experience, business leaders make time for what is important – and this is important. Determining priorities and making time for them is what makes you a leader. Every online influencer I know is busy, but they find ways to make time for building their online networks because it’s important to their success. Many influencers get help from their teams. They invest in building their own skills. Some hire consultants to help them with content, distribution and strategy. “I don’t have the money to invest,” you think. Marketing is changing faster than many people and organizations can adapt. Sure, everyone wants to get leads and prospects for their business, but those leads and prospects are driving their own buying journey and doing their own research online. They’re digitally empowered buyers and they’re looking for the best person and/or company to buy from. There is a community of influencers in every industry market that attracts these empowered buyers and helps them find their way – to the right person, the right company and the right solution for them. Can you afford not to be part of that community? “I don’t know what to do,” you confess. Now, we’re talking. Hey, it’s a complicated, fast-changing world. There are so many digital tools out there – it’s hard to know where to start. Here’s my advice: start with the basics and build from there. Start curating and sharing great content – that’s like your digital heartbeat in social networks. It shows that you’re alive and paying attention. Then, start identifying and reaching out to key online influencers in your industry. Focus on building long-term relationships of value with these influencers, not short-term lead generation. Finally, harness your own thought leadership and insights about your industry and share them. When you increase your visibility and recognized expertise among online influencers in your industry, this supports your other sales efforts in a variety of ways. 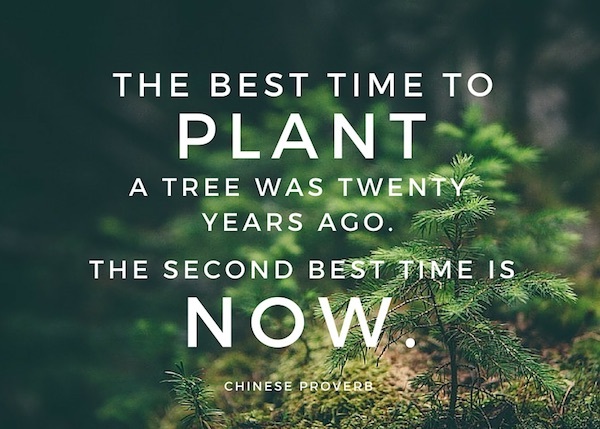 Plant that tree today. It really is the best time to start.